Sorin Vinatoru (sorinv) created T59922: latest buildbot crashes when reading older files. Sorin Vinatoru (sorinv) added a comment to T58337: GPU rendering shows inconsistent luminosity across tiles and differences from CPU rendering . These are official builds (those flagged beta on this page: https://builder.blender.org/download/). They do run on a server with Cuda 10 installed though. Sorin Vinatoru (sorinv) created T58337: GPU rendering shows inconsistent luminosity across tiles and differences from CPU rendering . Sorin Vinatoru (sorinv) created T57582: Blender 2.8 does not report GPU runs out of memory. Sorin Vinatoru (sorinv) added a comment to T57282: GPU and CPU not reported correctly and not used under linux . This script seems to detect correctly the devices. Thanks! Sorin Vinatoru (sorinv) created T57282: GPU and CPU not reported correctly and not used under linux . Sorin Vinatoru (sorinv) reopened T50968: linux official build glibc 219 crash as "Open". 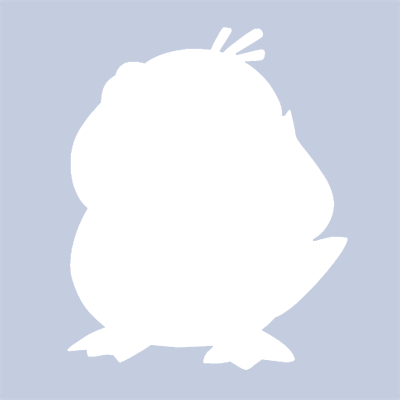 Sorin Vinatoru (sorinv) added a comment to T50968: linux official build glibc 219 crash. In fact, it works on CentOS 7 for 99.95% of projects. It's just some of them that crash. We do render a significant number of projects (as in hundreds per day) and they are very varied, coming from lots of customers who use the RenderStreet service. I opened this bug hoping I would help you track why it crashes on these few cases. Sorin Vinatoru (sorinv) created T50968: linux official build glibc 219 crash. Sorin Vinatoru (sorinv) added a comment to T45667: Particle system - navigating to frame will not update the particles properly. Thanks for sending this update. Sorin Vinatoru (sorinv) created T45667: Particle system - navigating to frame will not update the particles properly. Sorin Vinatoru (sorinv) updated subscribers of T43306: Feature request - remove or increase to 1024 the maximum number of threads. @Sergey Sharybin (sergey), I have only tested the 64 thread version (on an 172 thread power8 machine, 2.69 version from apt-get) and was scaling quite nicely. I have only tested the Cycles rendering part though, not the others. Sorin Vinatoru (sorinv) created T43306: Feature request - remove or increase to 1024 the maximum number of threads. Sorin Vinatoru (sorinv) added a comment to T43090: Cycles + Freestyle + border render = black render. Sorin Vinatoru (sorinv) created T43090: Cycles + Freestyle + border render = black render. Sorin Vinatoru (sorinv) created T42423: VSE does not collect and rename file output nodes. Sorin Vinatoru (sorinv) raised the priority of T39952: Computing the tiles done results in negative numbers from to Needs Triage by Developer. Sorin Vinatoru (sorinv) raised the priority of T38374: SSL support missing from the latest buildbot version from to Needs Triage by Developer.